Individual Consulting > Insurance | The L. Warner Companies, Inc. Protecting one's lifestyle is of major concern to all of our clients. Other advisors tell us that insurance products are one of the most difficult and confusing topics they discuss. The problem is often exacerbated by information presented by product vendors and their sales force motivated by commission-based sales. 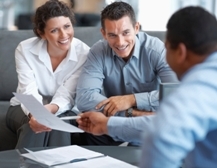 With so many insurance options it is sometimes difficult to decide which is the best for you. Since we represent your interests, not those of the insurance companies, we can offer you unbiased recommendations based solely on your needs and objectives. We offer both clients and their advisors access to our proprietary research and systems that help to assure proper design and carrier selection for any potential acquisition. Copyright © 2004-2019 The L. Warner Companies, Inc. All rights reserved. The L. Warner Companies, Inc. and its representatives are licensed to operate in particular states of jurisdictions and may operate only where licensed and, with regard to any particular product, where that product has been approved. The insurance and/or investment product information on this site is not intended for distribution or use in any states or jurisdictions where our company, its products, or representatives are not so licensed or approved. Offers of securities products are made only by a current prospectus, and only in those states in which there is a current, effective registration statement. Registered Representatives at The L. Warner Companies, Inc. offer securities through M Holdings Securities, Inc. A Registered Broker/Dealer. Member FINRA/SIPC. Registered Investment Advisory Services Offered through The L. Warner Companies, Inc. The L. Warner Companies, Inc. is independently owned and operated. Non-securities, Insurance products are underwritten by unaffiliated insurance companies. The L. Warner Companies, Inc. is a registered investment advisor. The L. Warner Companies, Inc. is a member of M Financial Group. Please go to www.mfin.com/DisclosureStatement.htm for further details regarding this relationship. For more information about staff affiliation with M Financial Group, please refer to the individual staff biographies.